Chennai’s real estate scenario has been on a steady growth curve in the past few years with no sudden spikes or dips in its price-points index. Chennai’s real estate market has signalled uptick in the sales velocity not only in response to policies transformation but also to the infrastructure growth. This is one of the most brilliant aspects about the Chennai suburban area because of the fact that a lot of people do want to buy properties that are both substantially excellent and affordable. The new age millennial-era home buyer tends to look at future growth prospects while evaluating different options to zero down on their dream ‘home’. In this scenario, new infrastructure projects make all the difference. If the project not only enhances economic growth but also positively impacts connectivity, it works out even better for the home buyer. When we look at the modern choices that are on offer for the millennial home seekers in Chennai peripheral areas, the mixed-used integrated township model which is on offer at Hiranandani Parks, Oragadam, offers some of the best ‘future ready’ home options. The Hiranandani Parks offers excellent plots in Oragadam that are completely premium, aptly priced, and comfortably affordable. 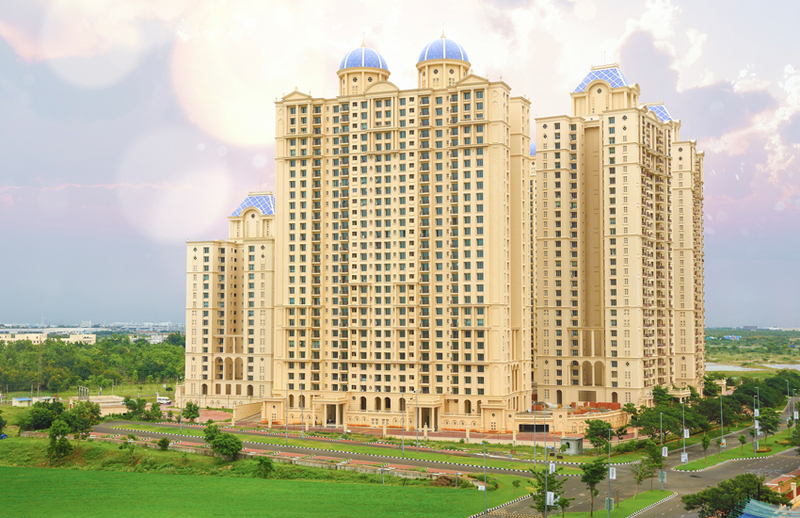 These plots are called the Hiranandani Tierra plots. and are simply amazing. The project offers Chennai’s home seekers with a wide array of product choices right from low and high rise apartments to villa plots. The township aims to offer a very distinct ‘vibrant community living’ opportunity to home seekers. Among the infrastructure projects which will have a positive impact on Oragadam is the Chennai – Salem Expressway. Projects such as these are like the perfect topping to an existing positive situation. Oragadam is not just Chennai’s largest industrial belt; it has also emerged as an extension of the Metro City. The Oragadam-Sriperumbudur region has witnessed tremendous industrial and economic growth in recent years. The economic success story of the region has been co-scripted by good road and rail connectivity. This connectivity also enables migration of human resources to feed the growing job market – this, in turn, fuels increasing demand for residential real estate. This brings back focus on the Chennai – Salem Expressway. With national and MNC auto giant companies establishing their operations out of this region, Oragadam, as a real estate hot-spot, has enjoyed a ‘positive perception’ among home buyers. The location will rightly enjoy the positives of the proposed Chennai – Salem expressway as it is situated just few kilometres ahead of the starting point. The expressway will enhance economic growth by bringing closer economic activities in Salem and its periphery. This makes Oragadam the ideal location for new millennial home buyers. Located on the Chennai – Sriperumbudur – Bengaluru corridor, it will witness enhanced connectivity once the Chennai – Salem expressway is completed. Oragadam enjoys great connectivity, and the proposed infrastructural development paves way for price appreciation in the future. When it comes to making a smart decision in terms of real estate, those who spot the potential of Oragadam in present-day will be making the right choice. We hope you had an excellent time reading this article. Do let us know your thoughts and queries in the comments section down below and do stay tuned for more interesting content!